How to run the validation? The alphaDelta board should be connected to the kit auxiliary groove connector and the tester board to the alphaDelta. 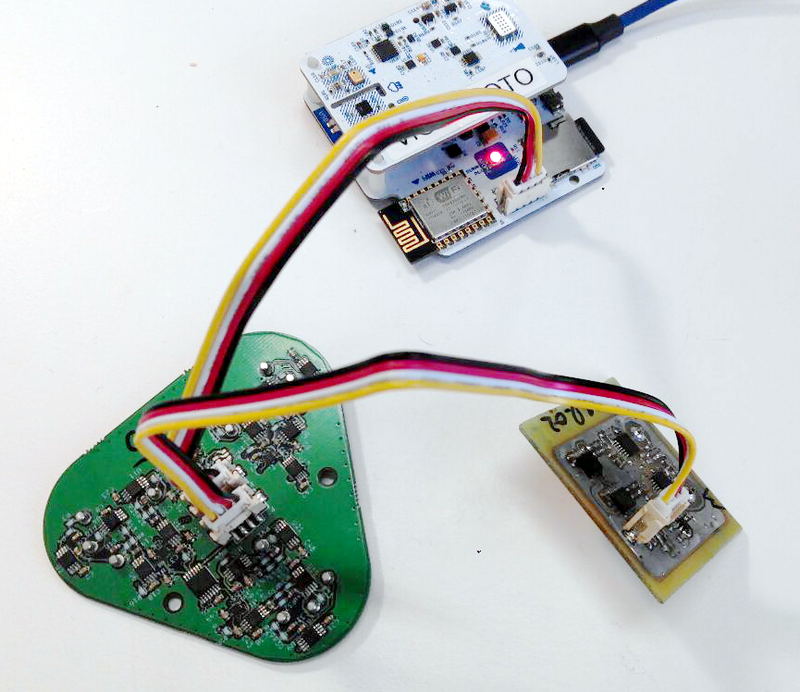 In this way the kit will have acces to both boards writing values in tester board and reading them in the sensor board. 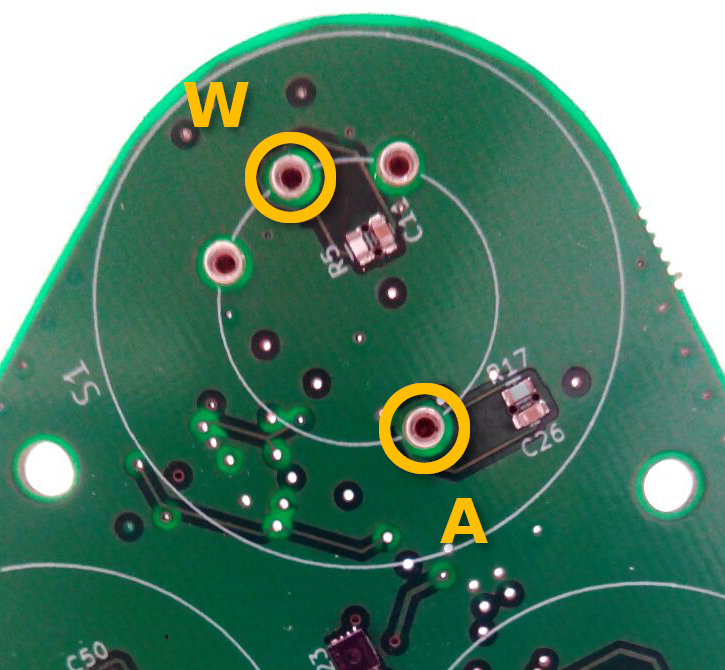 The tester board should be connected between Electrodes A and W from the slot you want to test. You will need the latest version of SCK 2.0 Firmware. To enable tester board in firmware uncomment #define deltaTest in sckAux.h file compile and upload the firmware. set followed by a nA value between -1400/+1400. This will instruct the tester board to output that current and verify the readings of the sensor. For validating the boards, we propose verifying that: each nA input can only yield a single output in mV in the ADC, at minimum gain (for each electrode). Finally, this test is also valid for too high gains since once the signal is saturated the \delta value is 0 (saturates in a flat plateau).